Nikon has announced the launch of its new ultra-stylish 12.1 megapixel Nikon COOLPIX S70 digital camera, which features stylish dual-texture design, enhanced interface and 3.5-inch wide-screen Clear Color OLED (organic light-emitting diode) Display with a new generation of touch-screen control, offering a new level of intuitive fingertip shooting control and a variety of exciting playback options. 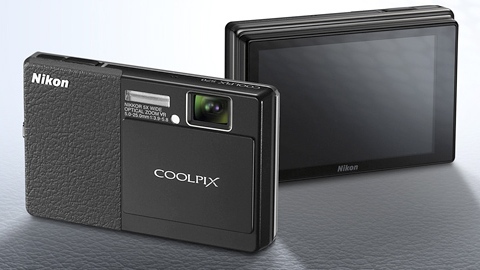 The new stylish Nikon COOLPIX S70 digital compact camera which measures 3.8 x 2.4 x 0.8-inches and weights approximately 4.9 ounces will ship in September 2009 for around $400. In addition to Nikon COOLPIX S70, the company also announced the availability of its new Nikon COOLPIX S640 and Nikon COOLPIX S570, scheduled to be available in coming September for about $250 and $200, respectively.